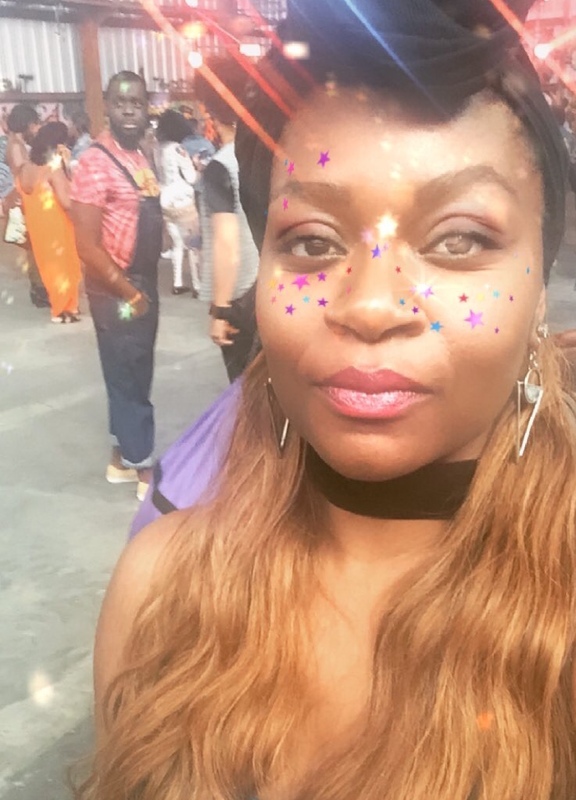 This past weekend I attended my very first Afropunk fest. Afropunk is a festival that celebrates the black experience through art, music, fashion and more. It originated in Brooklyn and since then expanded throughout the US and Africa and this weekend they ascended upon Atlanta for a two-day "Carnival of Consciousness." The list of performers was nothing short of astounding. Miguel headlined Saturday and Solange headlined Sunday with many other performers taking the stage such as Willow Smith in which she surprised us all when she brought out her iconic mom, Jada Pinkett Smith, and they performed a pleasing duet, Princess Nokia, Flatbush Zombies, Jamila Woods and others. This was my second time seeing Miguel and he is such a talented singer and performer! Solange was also a showstopper singing hits from her critically acclaimed album A Seat at the Table and even oldie, but goodie hits like "T.O.N.Y" and "Losing You." Not to mention, the girl knows how to set a stage! There were so many beautiful people who dressed in African-inspired garbs to fishnets and combat boots. The first day, I wore a black scarf as a turban, a turquoise top with a beige and black skirt and sandals. The second day I wore a gold tank with a pink and grey scarf tied as a skirt. For some reason, none of my pictures turned out right on that day and so I don't really have a lot of pics to share. I saw everything from afros to colorful wigs and glow in the dark face paint. As I mentioned before, the first day I wore a turban, but the second day I was inspired by Janelle Monae and opted for safety pins in my hair. There were panels such as the "Reclaiming Our Time and Bodies" hosted by activist Michaela Angela Davis featuring Just Think Twice founder Mary-Pat Hector, SisterSong’s Monica Simpson, political strategist and Three-Point Strategies founder Jessica Byrd, and CNN reporter and President of the White Dress Project, Tanika Gray Valbrun. As well as the "Freedom on Tap" panel hosted by commentators Melissa Harris-Perry and Dorrian Warren which also featured Insecure star Yvonne Orji and Alencia Johnson of the Planned Parenthood Federation of America. There were a lot of celebrities who came out just to enjoy the show. I personally saw actress/activist Amandla Stenberg, Girls Trip star Tiffany Haddish, and Atlanta stars LaKeith Stanfield and Zazie Beetz. Some other celebrities who were also in attendance were actress Bresha Webb and the stars of The New Edition Story Luke James and Keith Powers. Afropunk was truly an unforgettable experience. It really captured the essence of the black and carefree lifestyle. I'm excited to see what they have planned for next year.